Explore Marshalls' wide range of ready-to-lay screed and specialist screed for a durable, high-quality floor-levelling solution for any building project. 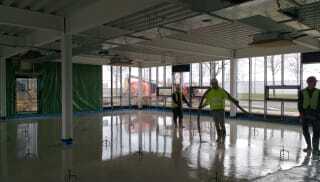 Marshalls' Polymer bonded screed offers high performance at reduced thicknesses. 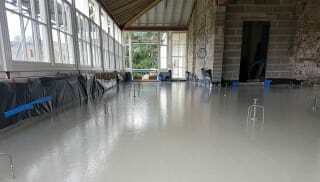 Primarily used as a flooring underlay, infill screed and for levelling falls, this self-bonding product delivers excellent abrasion resistance and aging stability properties due to its styrene-butadiene rubber (SBR) content. Admixtures allow a higher water reduction without affecting the bonded screed mix, enabling a thinner layer to be laid. This reduces permeability, shrinkage, and also waiting times on site, while delivering improved durability and flexural strength. As the UK's largest independent supplier, Marshalls offers a comprehensive range of competitively priced products suitable across many applications, and delivers direct to site nationwide. For further information on our floor levelling products, browse the full range now.